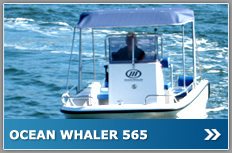 Ocean Whaler Marine is a Perth based, Western Australian boat building company that has been building the Ocean Whaler range of boats since 2004. Nigel Johnson, the Company Director, is a qualified Shipwright with over 20 years in the boating industry. Each boat is completely filled with a closed cell, poly-urethane foam, that complies and surpasses the Level Flotation regulations. The centre console layout and the squared bow allows the entire length of the boat to be utilised as work, rest or play space. So whether you are cruising the canals or fighting the big ones out of the coast, the Ocean Whaler is the perfect all-rounder for every occasion.